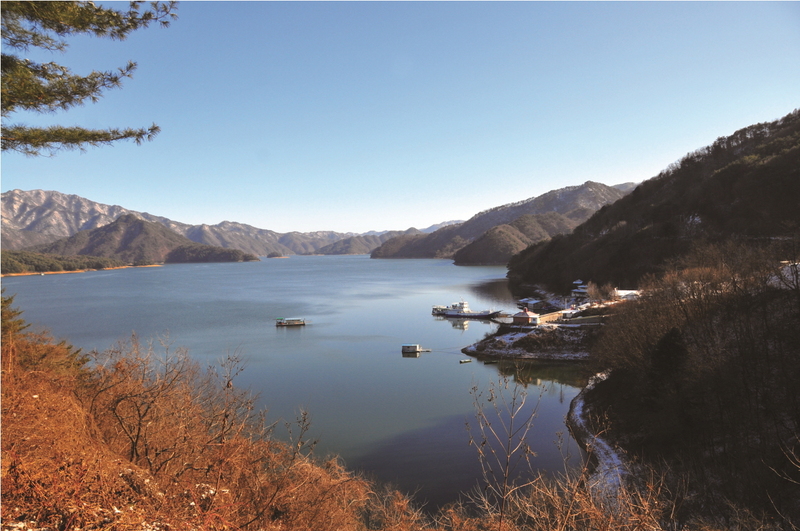 A tributary of the Namhangang River, the Donggang River is home to some of Gangwon-do’s wildest scenery. 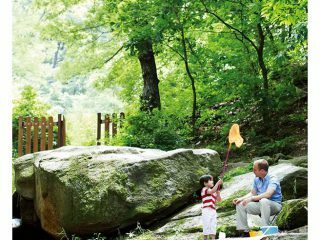 In summer, it’s the mecca of Korea’s river rafting community, its swift waters flowing past a beautifully rugged landscape. You don’t have to be an experienced rafter to enjoy the experience—in fact, rafting on the Donggang is a popular family outing. The Donggang River snakes through the mountains in a series of hairpin curves. 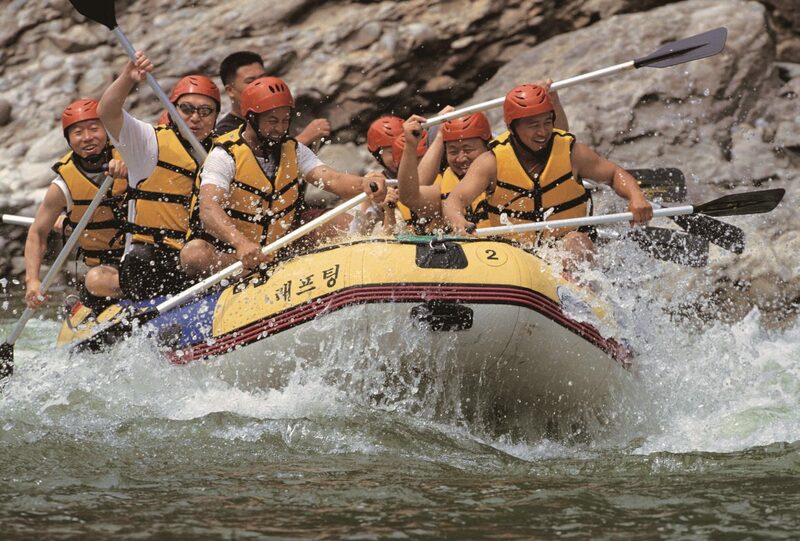 The heart of the rafting route is the Eorayeon, an especially scenic bend in the river. Even if you’re not into rafting, it’s worth hiking the surrounding hills for the majestic views of the river and endless ridges. People in Gangwon-do love their buckwheat, so you’ll find plenty of places doing makguksu(cold buckwheat noodles) and memil jeonbyeong (buckwheat crepes). 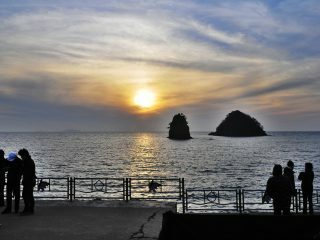 A popular site is Seonam Village, a bend in the river that looks like the Korean Peninsula. For something completely different though, the temple of Bodeoksa (just outside of downtown Yeongwol) is home to an outhouse built in 1882—it is, as far as this writer knows, the only bathroom in Korea designated as a cultural property. If rafting and hiking isn’t your thing, you can go paragliding from Yeongwol’s Byeolmaro Observatory. The Donggang and its environs are full of pension houses. There are lots of rafting companies near the start of the Eorayeon course. Buses to Yeongwol depart from Seoul’s Dong Seoul Bus Terminal (travel time: 2 hrs, 20 min).